On Friday, in the seaside town of Świnoujście (Zachodniopomorskie voivodship), an agreement was signed to finance the construction of a tunnel under the Świna river. Świnoujście is situated on dozens of islands, of which only three are inhabited (Usedom, Wolin and Karsibór). On the island of Usedom there is an administrative and service centre and a seaside district with tourist and spa facilities. Here, 80% of Świnoujście inhabitants live. The city has no road connection to the national road network. There are two ferry crossings. 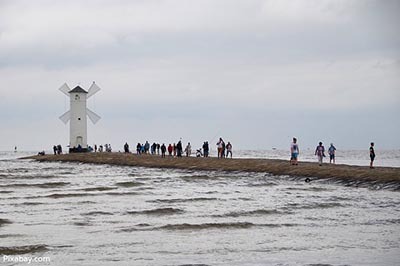 The island town has been waiting for years for an investment that will connect the islands of Wolin and Usedom and the mainland. At the beginning of this year the town received information about an EU subsidy of 775.6 million zloty for the construction of the tunnel. That’s 85 percent of the entire investment. The remaining 15%, ie 130 million PLN, will be covered from the town budget. The preliminary cost of building the entire tunnel is 950 million zloty. The EU money will come from the Operational Programme “Infrastructure and Environment” 2014-2020. President of Świnoujście Janusz Żmurkiewicz has repeatedly said that the construction of the tunnel was “the connection of Świnoujście to Poland”. 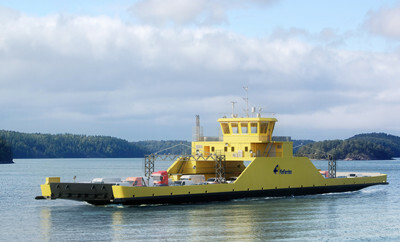 At present, ferries cnnect Wolin and Usedom islands. It is expected that the first cars will pass through the tunnel at the turn of 2021 and 2022. Two years ago, in the summer season, almost 100 percent of available accommodation places were booked, and over 2 million cars used the ferry crossings. The town officials predict that soon the almost 40-year-old ferries will be unable to handle the growing number of passengers. During the summer season, about 11 thousand cars use the crossing every day.